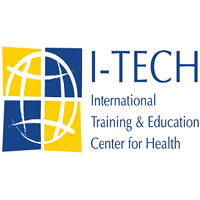 The International Training and Education Center for Health (I-TECH) is collaboration between the University of Washington, in Seattle, Washington, and the University of California, San Francisco. It is a center in the University of Washington’s Department of Global Health and has offices in Africa, India, and Haiti, and projects in more than twenty countries. I-TECH’s has employed approximately 500 worldwide staff who works with local ministries of health, universities, non-governmental organizations (NGOs), medical facilities, and other partners to support the development of a skilled health work force and well-organized national health delivery systems. I-TECH’s activities occur primarily in the technical areas of health system strengthening; health workforce development; operations research and evaluation; and prevention, care, and treatment of infectious diseases. Reporting to the Country Representative, the Operations Manager will provide support in Logistics, Human Resources, Procurement, Inventory Management, Safety and Security, Facilities Management, Travel and Information Technology while working in close partnership with the Finance Department to ensure the sufficiency of I-TECH Tanzania’s operational infrastructure. The Operations Manager will assist to ensure compliance with relevant rules, regulations, policies and procedures of key stakeholders in the above areas of operation, in support of serving the needs of the I-TECH Tanzania programs. Location: Dar es Salaam with 25% travel time will require early morning/evening conference calls with colleagues across multiple time zones, including with colleagues in Seattle (USA). Support strengthened accountability, linkages and effective collaboration with all other I-TECH Tanzania teams including Finance and program teams. Manage the country office management budget, ensuring compliance with USG donor requirements. Overall responsible in the recruitment of staff and consultants by finalizing JD’s, advertising and coordinating the hiring process with Country Representative and HQ HR team. Support the administration of Payroll and Benefit processes. Periodically researches and recommends cost of living or other across-the-board adjustments to the I-TECH salary structure, working with HQ HR team to update the structure and individual pay consistent with approved changes. Supervisor as needed to assure the safety and security of all employees. Provide training arid orientation to staff and visitors on safety and security. Serve as point of contact to arrange transportation for I-TECH staff and visitors. Provide support in preparation of detailed vendor agreements and obtain authorizations consistent with established guidelines. Provide oversight to all IT related issues ensuring IT needs at the office are met in a timely and effective manner. Manage the office lease, troubleshoot maintenance, security, office equipment and make arrangements for repairs, as needed. Please submit your application letter and CV ONLY to Human Resources Manager via hr@itech-tanzania.org not later than September 3rd, 2017. Only short listed applicants will be contacted.